Dr. losebashvili received his Doctor of Optometry degree from the SUNY College of Optometry in 2004. He then completed two internships at Lyons VA Hospital and at Omni New Jersey. 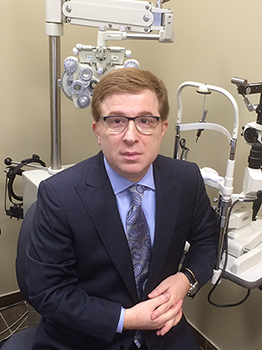 Dr. Iosebashvili is dedicated to staying informed and up-to-date in the field of optometry in order to provide his patients with the best possible eyecare.